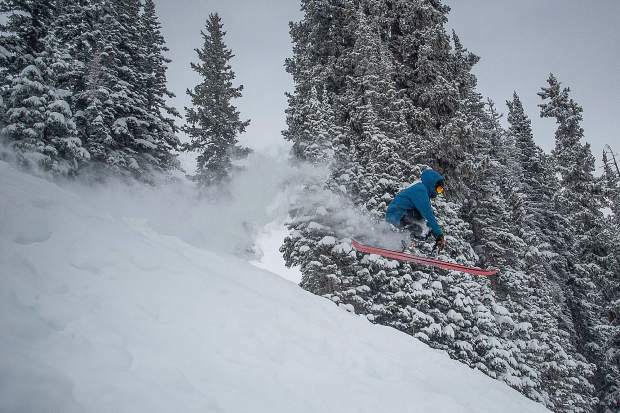 After another week of solid snow on its mountains, more lifts and terrain will open this weekend at Aspen Mountain and Snowmass, and perhaps Highlands. On Thursday, Skico officials confirmed Lift 1A will start spinning Saturday, opening up the west side of Aspen Mountain. That means roughly 580 of Ajax’s 675 acres will be open, public relations manager Tucker Vest Burton said Thursday. The Ruthie’s lift opened earlier this week. Snowmass has been adding terrain since its Thanksgiving day start and this weekend, skiers and boarders can get to the top of the mountain with the planned openings of the Alpine Springs and High Alpine lifts. They also expect to open terrain in the Wall section. Skico also plans to start the Assay Hill lift in the beginner area. Buttermilk will open Saturday with “wall to wall” runs, Aspen Skiing Co. Mike Kaplan said over the weekend at Highlands’ opening day. The Buttermilk opening will include the expert runs at Tiehack on the mountain’s east side. Also opening Saturday is the return of Fort Frog, which burned down in May 2016 and has been rebuilt at the top of Buttermilk. Crews at Highlands, which opened a week ahead of schedule Saturday with 700 acres, will open the Cloud Nine lift this weekend. They also are hoping to drop the ropes by Saturday on the Steeplechase section of the mountain between the Loge Peak and Deep Temerity lifts. That would add another nearly 150 acres of expert terrain.